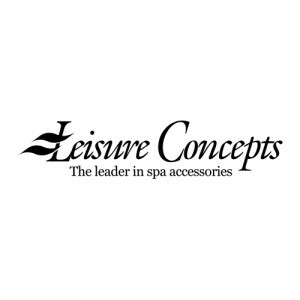 Continuing to develop new quality products for the spa industry, Leisure Concepts, Inc. has become the world leader in spa accessories. Expanding their product line and diversifying into a new market, Leisure Concepts, Inc. of Spokane, Washington, needed to look at ways of automating their processes. The process to injection mold and box their 2 x 2 ft. modular SmartDeck decking systems was labor-intensive and needed to be automated. Leisure Concepts used a robot to place 4 parts in a custom box on their existing standard rubber belt conveyor. The boxes needed to be manually aligned on the conveyor by an operator in order for this process to work. Mark Laughman, General Manager, of Leisure Concepts discovered the flexible DynaCon modular conveyor system with automation controls provided by Dynamic Conveyor of Muskegon, Michigan. Dynamic Conveyor worked with Leisure Concepts to develop a box filling system that would automatically properly align their custom boxes, allowing their robot to place 4 parts in each box, before indexing the next box into place. “We are very pleased with the addition of our DynaCon box filling conveyor”, says Laughman. “The DynaCon conveyor has given us the ability to automate the box filling process, which has allowed us to optimize the injection molding machine by running it automatically, improving our cycle time by 5-10%. In addition to reduced cycle times, we have been able to reduce our labor by one-half of an operator, for the manufacture and boxing of our SmartDeck product.” The savings adds up quickly. Leisure Concepts is currently running the line 200 hours every two months and anticipate doubling their run time in the near future, as they enter the off-road motorcycle industry with this product.